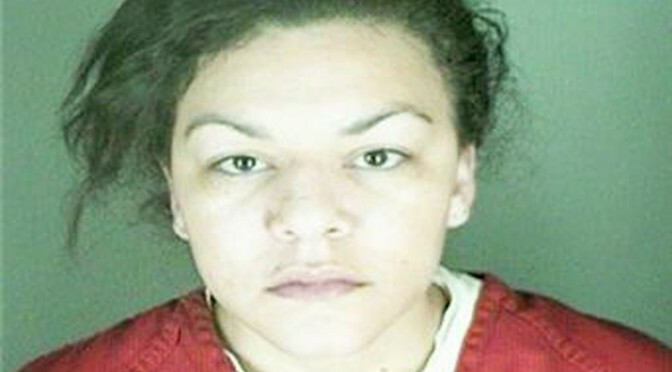 BOULDER, Co. — A Colorado woman who is currently on trial for assaulting a pregnant woman and cutting the baby out of her womb will not be held responsible for the death of the child, nor will the judge who is overseeing the case allow testimony about the infant’s manner of death. “She is not a victim in this case,” argued defense attorney Jennifer Beck about the now deceased child, who was to be named Aurora, as she sought to silence any “irrelevant” testimony about the plight of the baby. Judge Maria Berkenkotter sided with Beck to block testimony about Aurora’s autopsy. Dynel Lane, 35, is being charged with assault and the attempted first-degree murder of Michelle Wilkins, 27, as well as unlawful termination of a pregnancy. She is not facing murder charges for the child’s death. In March of last year, Lane placed an ad on Craigslist to offer free baby clothes. But when Wilkins, then seven months pregnant, responded to the advertisement, Lane allegedly hit her over the head with a lava lamp and stabbed her in the neck with broken glass. When Wilkins blacked out, Lane performed a C-section and cut Wilkins’ baby daughter out of her womb, who subsequently died. Lane also allegedly left Wilkins for dead, who had lost half of the blood in her body. According to reports, Lane had been living with her boyfriend and had faked a pregnancy for months after suffering a miscarriage. When he came home after the attack, she told him that she had given birth, but that the child was stillborn. In being interviewed by police at the hospital, she admitted that she had never been pregnant. However, Lane also told police that it was Wilkins who first attacked her, and she fought back out of self-defense. She claims she only cut out the baby to save the child’s life. Wilkins told a different story in court, stating that when she attempted to leave, Lane hit her and then shoved her into a basement bedroom, where she tried to smother her face with a pillow. She then beat her over the head with the lava lamp. When Wilkins regained consciousness, she dialed 911 and both police and paramedics arrived at the house. Prosecutors further painted Lane as an unstable person who was obsessed with pregnancy. However, as previously reported, District Attorney Stan Garnett explained last year that he decided not to file murder charges against Lane for the death of baby Aurora because there was no sign that the child was alive once cut out of the womb. He said the infant would have needed to show signs of life after being separated from her mother in order for Lane to be charged with murder. Efforts have twice been launched in Colorado in seeking the law to be changed so that homicide charges can be filed against those who commit crimes that result in the deaths of the preborn, but both of those efforts have failed. Closing arguments are being presented in the case today. Both sides rested on Friday.